Get your Autumn orders in now! Call Tony today on 55933737 or tony@camperdowncompost.com.au to book your soil consultation for Autumn fertiliser programs. With our Compost Calculator, we can now demonstrate that the nutrients in a compost program can equal or better a conventional program in both cost and nutrient levels. This budgeting tool lets us stay within or below the budget set by the farmer, add inputs that improve the fertility of your soil, compare cost and nutrients with conventional fertiliser programs and manage deficiencies. The result is a tailored compost program that will benefit your soil and increase your long term productivity, and cost you the same or less than a conventional program. 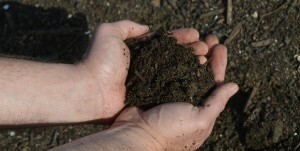 Why use compost on your farm? Camperdown Compost Company has been selling compost since 1998. Since that time we’ve gone from selling 30 tonnes of compost to one local dairy farmer in the first year, to managing almost 100,000 tonnes of waste this year. This equates to compost being spread on more than 60,000 hectares each year. Our farmers are reporting fewer weeds in their pastures and more robust plants during dramatic weather events. Their farms are healthier and more productive than ever which is translating to higher income and lower input costs. Our on-farm composting program uses best practice dairy farm waste management, reducing traditional fertiliser use and minimising your exposure to fluctuating global fertiliser prices. Compost helps to protect your soil and plants against pathogens and retains nutrients in the soil so they don’t leach from the root zone. 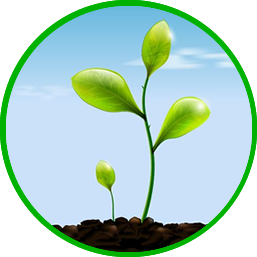 It also allows nutrients to cycle into plant available forms and improves the uptake of soil or foliar nutrients while breaking down the pollutants in the soil. A 1% increase in organic carbon in the top 30cm of soil will increase the soil’s capacity to hold water by a massive 144,000 litres per hectare, or 14.4 litres per square metre. 132 tonnes of carbon is sequestered per hectare. Camperdown Compost has a licensed EPA facility near Camperdown taking waste mainly from food processors. It also manages the waste on many dairy farms in the south west. In addition, its Geelong branch Geelong Compost makes compost on approximately 100 farms around Geelong and the Surf Coast.